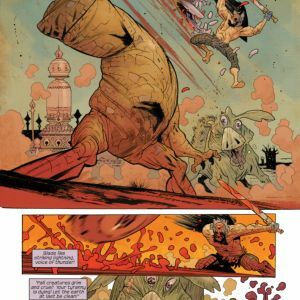 Co-creators John Arcudi (writer of BPRD, Savage Wolverine, A god Somewhere and the Eisner-nominated The Creep) and James Harren (artist on Conan, BPRD, and cover artist for the Hawkeye vs. Deadpool) team up once again for the launch of an epic and bizarre action/adventure series filled with fantasy and page-turning thrills arriving on December 17. 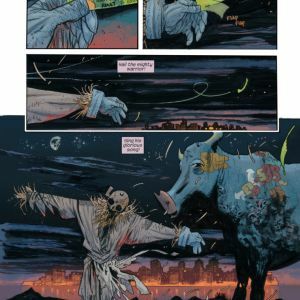 In RUMBLE, a scarecrow—a warrior scarecrow god called Rathraq, that is—walks into a bar...and it’s all downhill from there. 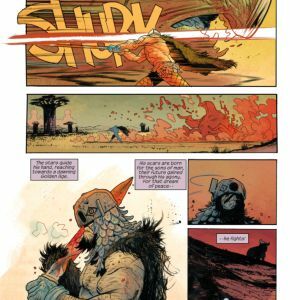 After a long absence, Rathraq is back and very unhappy. 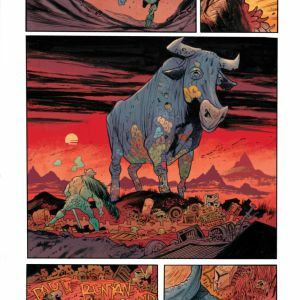 This is bad news for his old enemies, yes, but even worse news for everyone else, including bartender Bobby LaRosa who finds himself caught in the chaos. 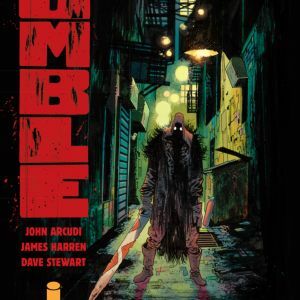 RUMBLE is an eclectic mix of tone and genre, something that Arcudi commented on as adding depth and a dose of reality to the story. 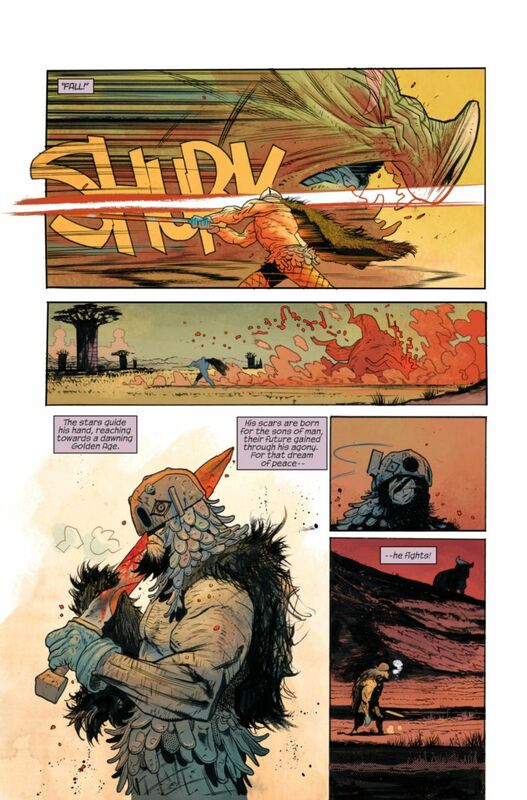 “Rumble is not just fantasy, not just action, not just drama, or not just humorous, you know? That’s too limiting. That’s not how we live. 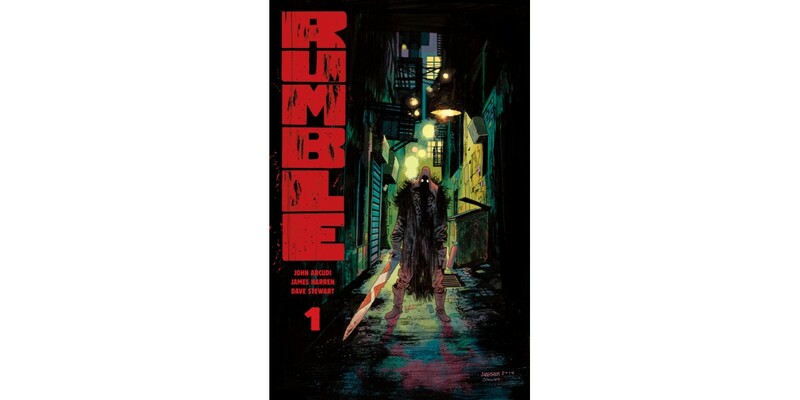 You wake up happy, then something happens that messes up your whole day (of course, in the case of Rumble, that ‘something’ just so happens to be a giant sword-wielding scarecrow and some monsters), but you still manage to have a laugh that night. 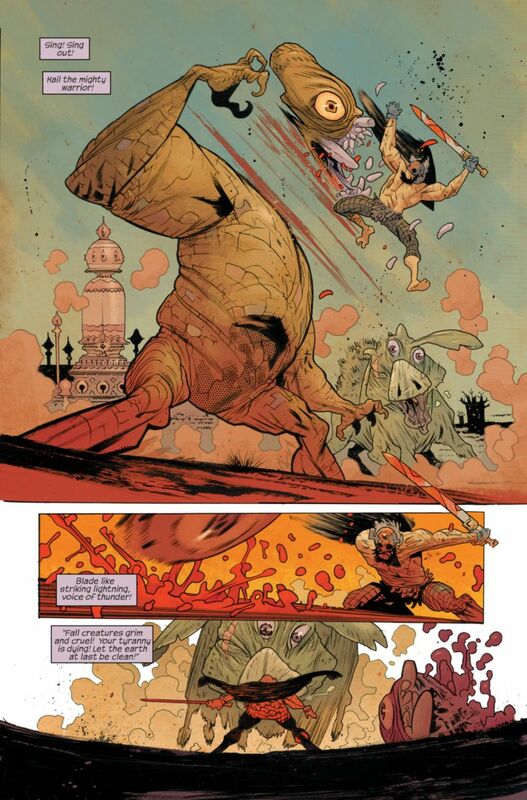 What I like about this book is that any character can have a day like that. 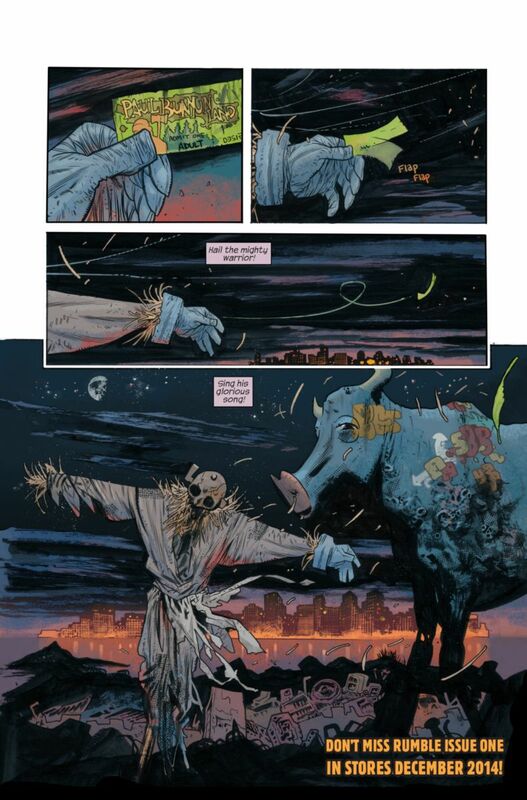 Any of them, human and non-human." 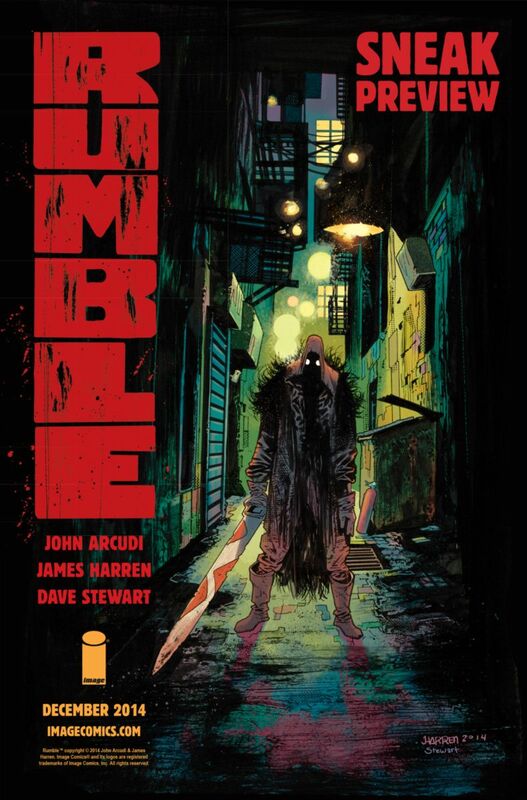 RUMBLE is a modern-day action fantasy series where rundown dive bars, undead kitty cats, psycho skinheads, and giant mummies run amok. 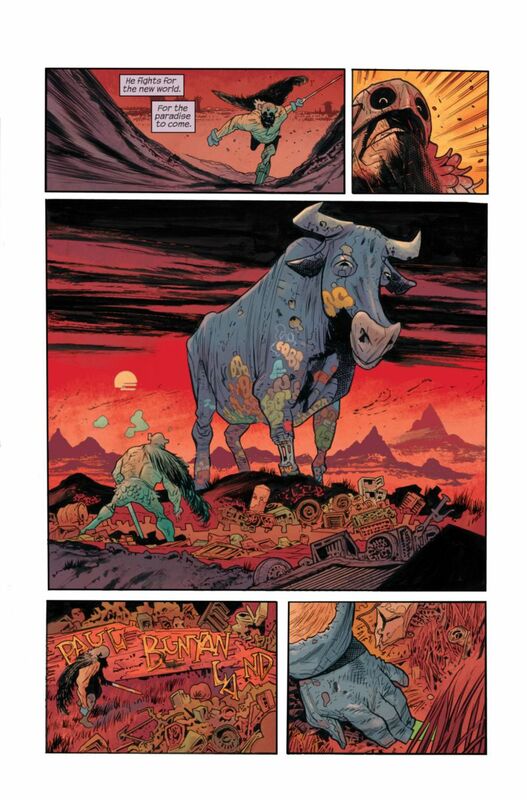 RUMBLE #1 will be available on 12/17, and can be pre-ordered with Diamond Code OCT140580.